Don’t let an unexpected absence due to some medical reasons hamper your work life. 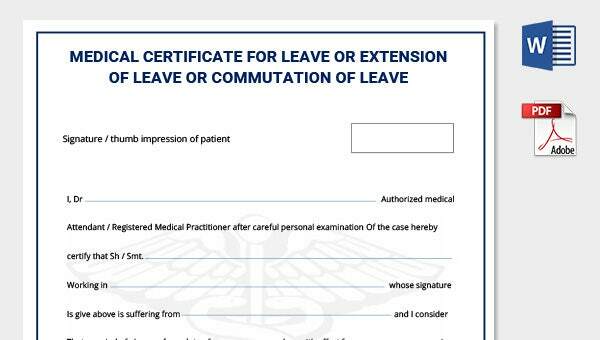 Use our freebie of the day – Medical Leave Certificate and produce an authentic document to justify your absence, and go back to working mode with confidence. This simple yet elegant looking Medical Leave Certificate freebie has been created specifically by our team of experts to closely match the requirements of most organizations. You don’t have to design a medical certificate from the scratch. 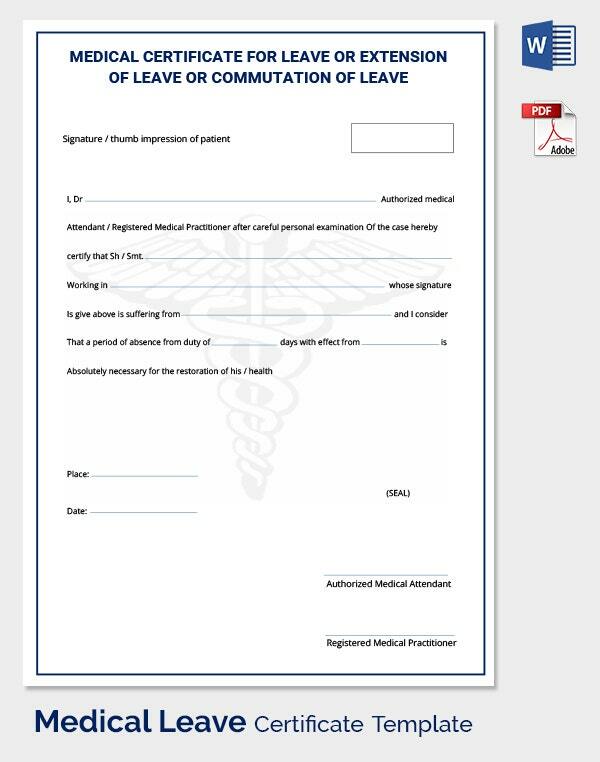 All you need to do is download this Medical Leave Certificate freebie which is available in a white background and contains the name of the doctor, patient, the illness that the patient is suffering from, and illness period along with the doctor’s initials. Our Medical Leave Certificate freebie template offers you a base structure and you can make additional modification depending upon your requirement through MS Word and Adobe PDF. Creating a medical certificate will be easier than ever before with this Medical Leave Certificate template freebie by your side.